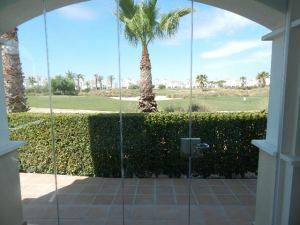 Glass Curtains La Torre are based in the Mar Menor area and cover all the Golf Resorts including La Torre Golf, Las Terrazas de la Torre Golf, Hacienda Riquelme Golf, Mar Menor Golf, Roda Golf, El Valle Golf and all surrounding areas. Glass Curtains Murcia La Torre (Mar Menor - Costa Calida) established for over 13 years are a Glass Curtains specialist in Murcia providing all styles, types and sizes of quality Glass Curtains, Glass Swimming Pool Surrounds and Glass Balustrades to Costa Calida Polaris World Golf Resorts in Murcia including La Torre Golf Resort, Mar Menor Golf, Hacienda Riquelme Golf, Terrazas de la Torre Golf, Condado de Alhama and El Valle Golf in Murcia Spain. In addition, we also cover La Manga Club and the surrounding La Manga area, Roda Golf, Costa Calida, Mar Menor, Los Alcazares, Roldan and the wider Murcia region of Spain. Please contact us for no obligation quotes and advice. 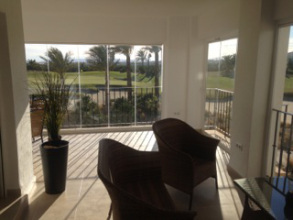 Glass Curtains Murcia La Torre truly offer a high quality range of affordable glass products with a professional installation service backed up by a 365 day after sales service and a 5 year guarantee! 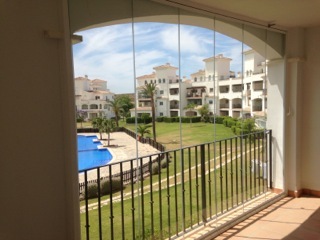 Quality Glass Curtains in Murcia to suit all designs, sizes and budgets. Contact us today.